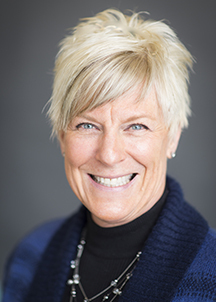 WSU College of Nursing was 1 of 10 schools chosen by the National Council of State Boards of Nursing (NCSBN) to participate in a landmark, national study of simulation use in prelicensure nursing programs. The NCSBN Simulation Study monitored the simulation performance of incoming WSU nursing students from their first day of nursing school through graduation, and into their first year of practice. The NCSBN Simulation Study highlighted best practices in simulation use; evaluated the learning occurring when various amounts of simulation are substituted for time spent in direct patient care settings; established key simulation standards and learning experiences in each core clinical course during the study; and evaluated new graduates’ ability to translate educational experiences into the workplace. Kevin Stevens is the Director of the Program of Excellence in Clinical Performance & Simulation. She was the project coordinator for the National Council of State Boards of Nursing (NCSBN), a member of the International Nursing Association for Clinical Simulation and Learning, advisor to the student Simulation Club, and active member of the Simulation Professional Network.